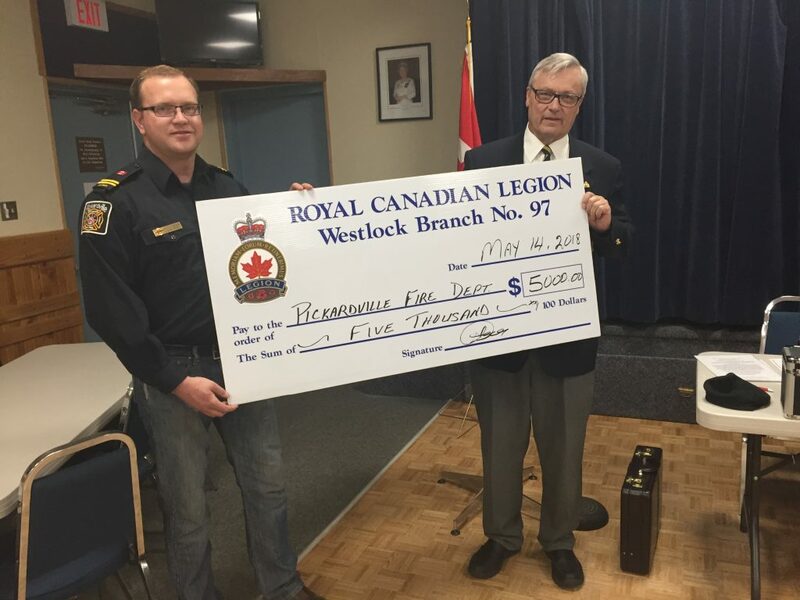 President Dave Hall of Westlock, Alta., Branch presents $5,000 to Capt. Reilly Clarahan of the Pickardville Volunteer Fire Department. The funds will be used to buy medical equipment and tools for the first responder vehicle.